Best MK Caters in Lucknow. 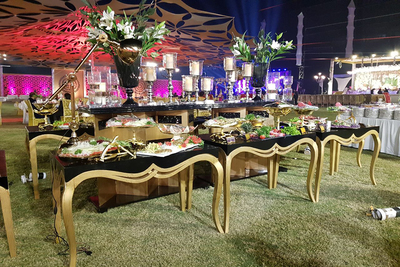 We “M K Caterers” are a full-service catering company specialized only in vegetarian delicacies, comprising with unique presentation, remarkable taste & innovative event styling. We recruit top-notch Chefs and ensure to use high-quality ingredients to provide our customers with first-class gourmet food experience that will leave your taste buds singing for joy. The Basis of our first class gourmet food, paramount quality and providing end-to-end service, are our name MK CATERERS, over 26 years of culinary experience.